Monday Dell announced the new Dell Precision tower workstation line. The new Dell Precision T1650, T3600, T5600 and T7600 combine beautiful industrial design and offer superb power, dependability and manageability. In designing this new tower series, dell solicited input from top engineering, finance, software development, scientific, and media & entertainment companies on what they were looking for in a professional workstation. The responses helped Dell create new new design innovations & advance technology including the new Reliable Memory Technology (RMT), a Dell-patented code programmed at the BIOS level that eliminates virtually all memory errors on high-end workstations. 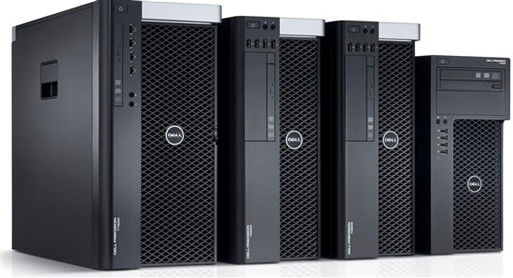 The Dell Precision T1650, T3600, T5600 and T7600 workstations will be available for purchase worldwide starting in May.